Whether Africa will ever benefit from its natural resources is a question that is more relevant now than ever, as new discoveries of coal, oil and gas across East Africa look set to transform global energy markets and - people hope - the economies of those countries. But can the likes of Kenya, Tanzania, Mozambique and Uganda really turn their newfound riches into tangible wealth for ordinary people? This month the BBC Africa Debate team will be in Ethiopia asking just that. Politicians, business representatives, activists and academics from across the continent will be taking part, as over 800 experts gather in Addis Ababa for the Eighth African Development Forum. "On average, resource-rich countries have done even more poorly than countries without resources," according to Joseph Stiglitz, former chief economist at the World Bank and professor of economics at Columbia University, in the United States. There are greater economic inequalities in resource-rich countries than elsewhere - as perhaps indicated by on-going miners' strikes in South Africa, considered one of the most unequal countries in the world - and too often there is also endemic corruption. 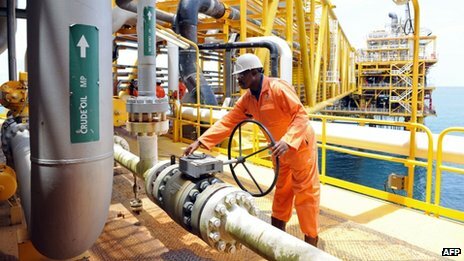 In Nigeria, the continent's biggest oil producer, at least $400bn (£250bn) of oil revenue has been stolen or misspent since independence in 1960, according to estimates by former World Bank vice-president for Africa, Oby Ezekwesili. That is 12 times the country's national budget for 2011. Meanwhile, 90% of people live on less than $2 per day. There has been violence between Sudan and South Sudan over oil this year, and Malawi and Tanzania have yet to resolve their dispute over who owns the oil and gas in Lake Malawi. Ghana started producing oil in December 2010 and there is further exploration all along the West African coastline. Only five of Africa's 54 countries are not either producing or looking for oil. From Algeria to Angola - and from petroleum to platinum, iron ore to oceans - the scramble for Africa's resources has often caused problems rather than created prosperity. Meanwhile, much of the profits from resource exploitation leave the continent entirely in the hands of foreign-owned companies which pay low rates of tax. Few African countries process their own raw materials - rather, the value is added elsewhere, to the benefit of others. Foreign-owned resource extraction companies are often criticised for providing little in the way of local employment and contribution to local economies. But could there be a different story? 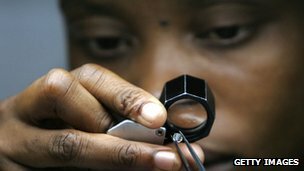 Diamond-rich Botswana has been praised as a country doing things right, experiencing relatively stable and transparent economic growth for decades. It has also managed to retain some of the profits from processing its raw materials - something most African countries have failed to do. A once poor European country, Norway, also proves it can be done - distributing its oil wealth so equally that it heads the United Nations Human Development Index (Nigeria comes in 156th place). So why have so many African countries failed to turn natural riches into benefits for the masses? Who is to blame for the foreign exploitation, and whose responsibility is it to put things right? What about possible solutions - renegotiation of contracts, better transparency mechanisms, higher taxation, resource nationalism? Should the likes of Mozambique and Ghana be celebrating their resource discoveries - and what do they need to do to make the most of them? Will Africa ever benefit from its natural riches? Tune in to the BBC World Service at 1900 GMT on Friday 26 October to listen to the Africa Debate broadcast from Addis Ababa, Ethiopia.